New York City is not only the world's biggest financial centre, but also one of the major tourist destinations. 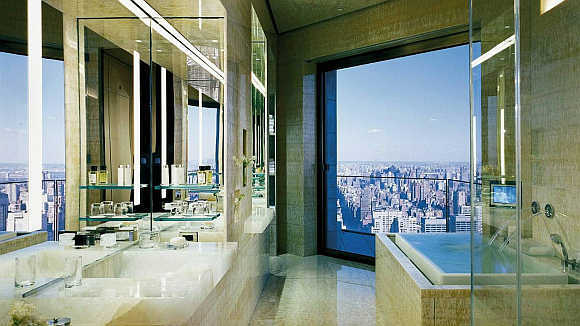 So, it's no surprise that the city has some of the most luxurious and exclusive hotel properties in the world. 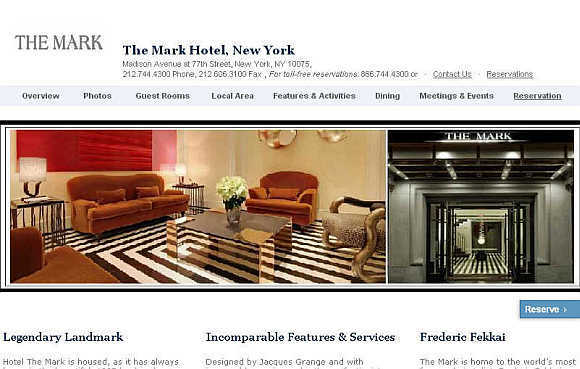 Let's take a look at 20 most expensive hotels in New York City. 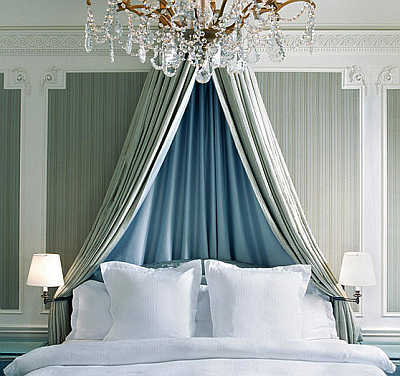 Image: A view of a bedroom at St Regis. Colonel John Jacob Astor broke ground in 1902 for the building of The St Regis Hotel at the corner of Fifth Avenue and Fifty-Fifth Street, in the most exclusive residential section of the city at the time. 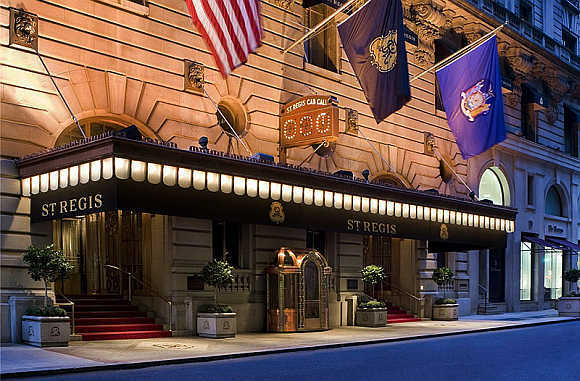 Image: An exterior view of St Regis. The hotel has 198 guestrooms and 46 suites. 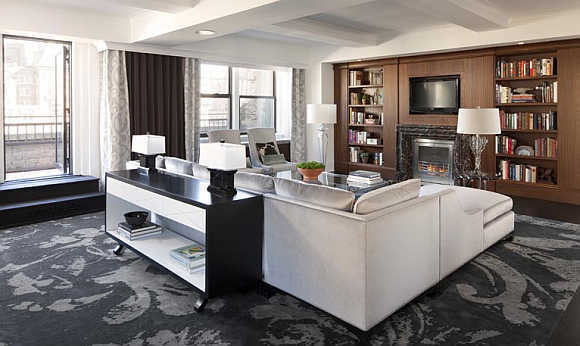 Suite sizes range from 800 square feet to an impressive 2,640 square feet. Floor-to-ceiling windows offer views of the Hudson River, Manhattan or Central Park. 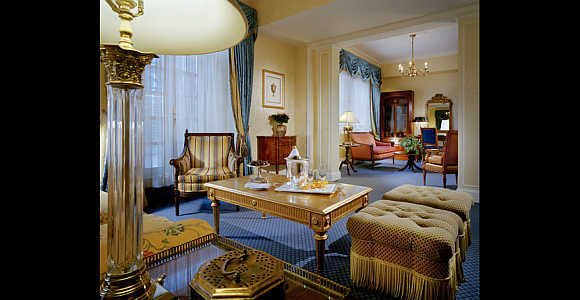 It offers 368 ultra-spacious Manhattan hotel rooms and luxury suites off Park Avenue. Many feature dazzling Central Park views, while others present the city's iconic skyline. A few Midtown East hotel rooms and suites even offer both. 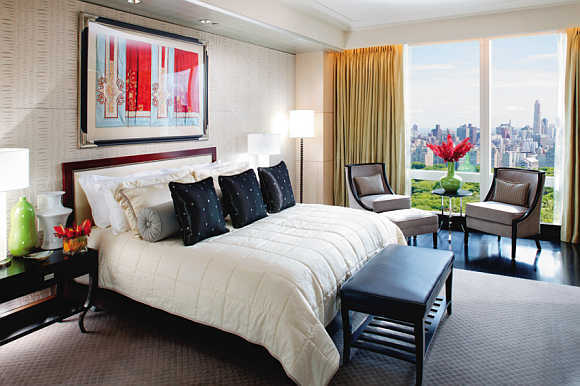 The 33-storey property comprises 259 guest rooms, including 47 hotel suites. It offers captivating Central Park South views and easy walk to Fifth Avenue, Broadway, Rockefeller Center and Lincoln Center. The 176 luxury suites and guestrooms feature fully equipped kitchens, and floor-to-ceiling windows offer unparalleled views of Central Park and NYC. Image: Trump International Hotel & Tower. It is located on the world's most expensive street, on the corner of Fifth Avenue and 55th Street, with a number of major stores nearby. Some of these outlets include De Beers, Fendi, Armani, Prada and Abercrombie & Fitch. Tourist attractions include Rockefeller center, St Patrick's Cathedral and Radio City Music Hall. There are 86 bedrooms and suites over 11 floors. Each has high ceilings and full length windows. There is The Crosby Bar, a private leafy garden, guest drawing room, several stylish private event and meeting rooms, a luxurious 99 seat screening room and fully equipped gym. 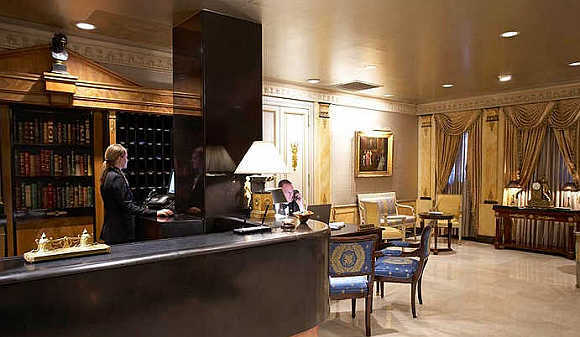 Its 142 luxury hotel rooms and suites are equipped with in-room wireless Internet, plasma TVs with 300 channels, including TV Globo, TV5, Deutsche Welle and RAI, movies on demand, two line speaker phones, large writing desks, marble bathrooms, Penhaligon's amenities, safes, mini-bar and hair dryers. It has 157 guest rooms and 57 suites. Guests can indulge in the rejuvenating treatments available at Langham Place spa, delight in the culinary excellence of its restaurants or select the perfect gift from Life, Langham Place, Fifth Avenue's retail outlet. 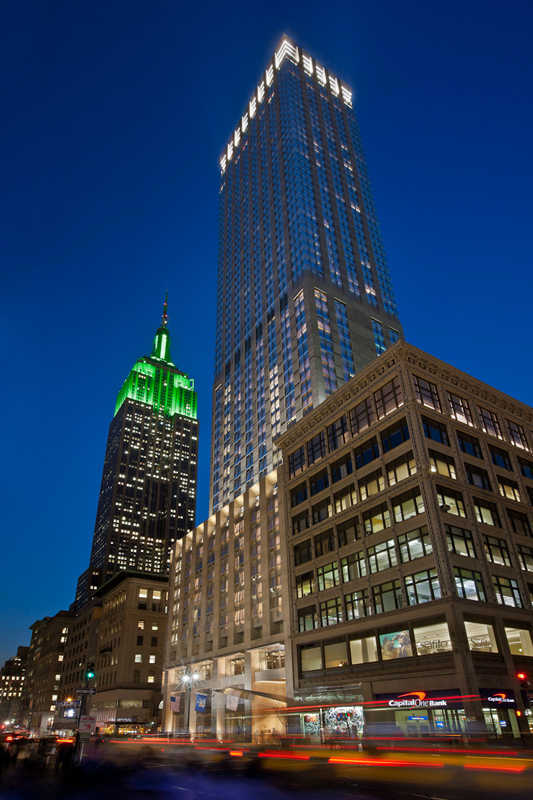 Image: The Setai Fifth Avenue. In 1893, millionaire William Waldorf Astor opened the 13-storey Waldorf Hotel on the site of his mansion at the corner of Fifth Avenue and 33rd Street. The Plaza opened its doors on October 1, 1907, amid a flurry of impressive reports describing it as the greatest hotel in the world. 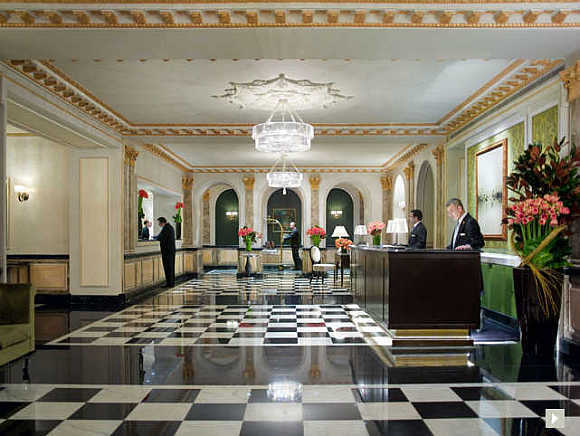 Located at Fifth Avenue and Central Park South, this luxury hotel was constructed in the most fashionable residential section of New York City. 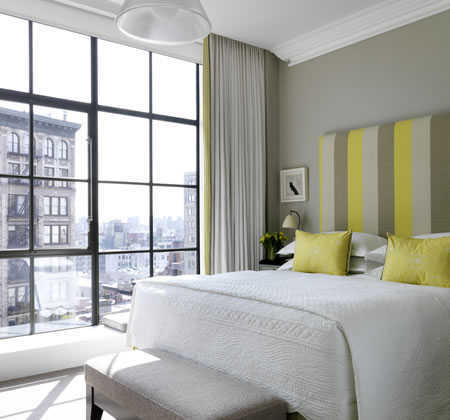 The Lowell is in the heart of New York's most exclusive and fashionable Upper East Side. With only 49 individually decorated suites and 23 deluxe rooms, the hotel lavishes its guests with truly personalised service and great attention to detail. The opulent $15 million 714-room Pierre Hotel went up on a prime site in October 1930 at the corner of Fifth Avenue at 61st Street, commanding unrestricted views of Central Park. Built in 1926, as a residence hotel, the original Surrey was home to many of New York's most eccentric celebrities over the years. The Carlyle, a Rosewood Hotel, has been called home by leaders in world affairs, business and society since its debut in 1930. Brilliantly positioned on Madison Avenue in Manhattan's Upper East Side overlooking Central Park, it is a true New York City landmark. 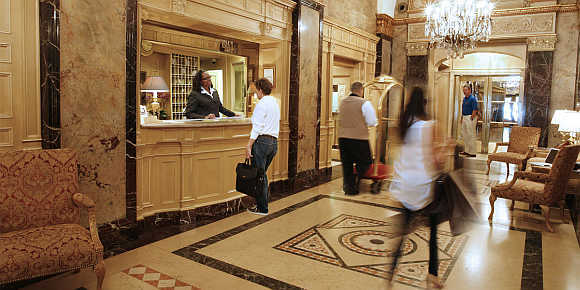 Located on 44th Street, the hotel is steps away from Broadway theatres and the city's media and financial giants. 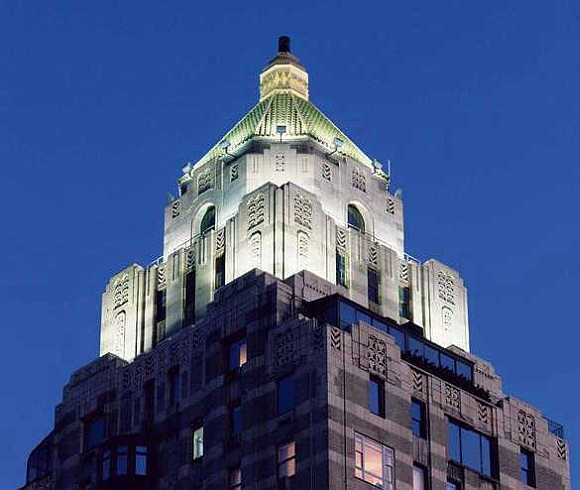 It opened in 1927 and has 50 guest rooms and suites, some with Central Park views. Constructed in 1882, a residence became known as The Villard Houses. Over the next century, the residence would change from private homes to offices for the Archdiocese and later, corporate offices for internationally known companies. In the mid-1970s, the Archdiocese of New York, owners of the land, cleared the way for a hotel development that would incorporate this unique property, gracefully blending the landmark 1882 Villard Houses with a contemporary 55-storey tower. Image: The Towers at The New York Palace. 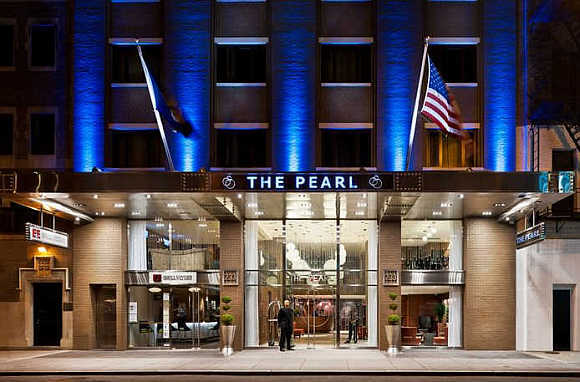 The Pearl Hotel opened its doors in October 2010 in the heart of New York City's Times Square. 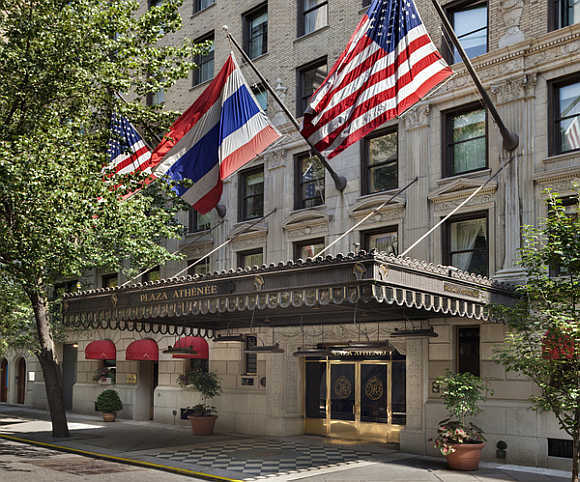 The convenient Midtown Manhattan Hotel location is only a short ride or walk to famed Big Apple attractions such as Lincoln Center, Central Park, Broadway theaters, Restaurant Row, and fine restaurants and cafes.